Just unbeleivable! Now if Soapychica was around when I was experimenting with M&P soap, I doubt I'd have looked any further. Truly works of art. 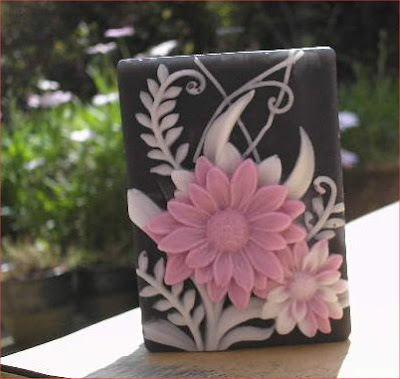 Her soaps are pure art. I Should experiment with melt and pour more. I find M&P soooo tricky. I mean, to produce all these lovely things one has to have skill - they are incredible! !